Congratulations to all the brides for 2011! 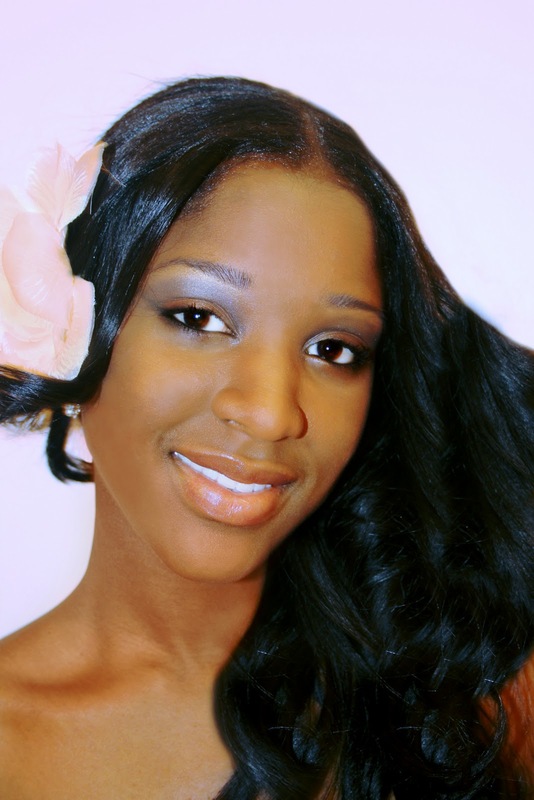 Marriage is a wonderful thing and its one day a bride needs to look at her best for her man. 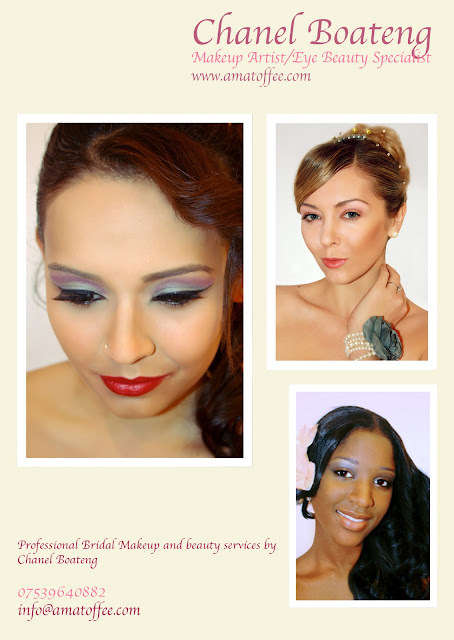 I am receiving bridal appointments for makeup and beauty so please hurry and book me if you require my services. I offer excellent rates for the bride, bridesmaid, mother of bride and other persons, individually priced or as a different packages. I have three years in experience in bridal makeup as working for Benefit cosmetics carried out appointment based bridal tutorials and trial makeovers to different types of women ranging from Asian/Arabic, Caucasian, Afro/Caribbean... with all different shades of skins and tones. I am blessed to be all in one package having the skills in not only makeup but with eye beauty skills. 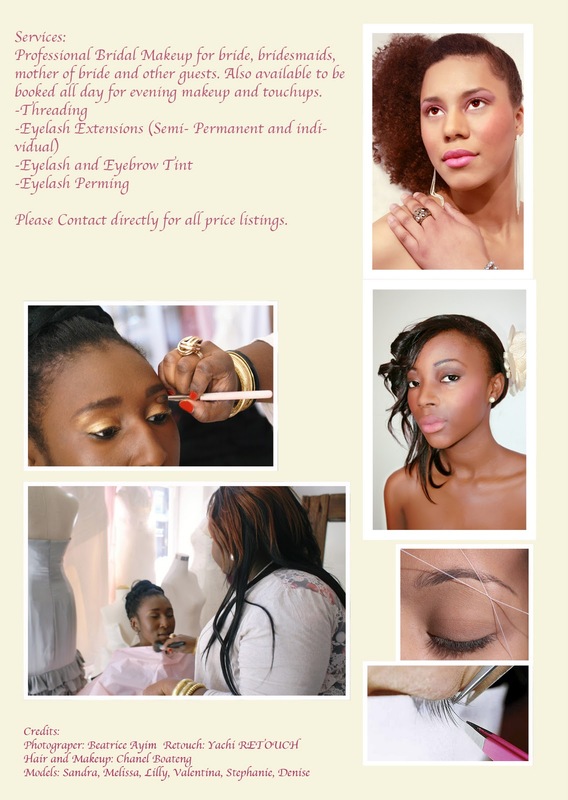 I am a certified/qualified eye beauty specialist in all of the areas below. 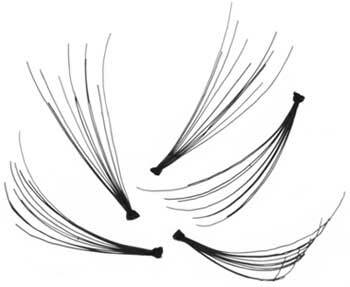 You can opt for a subtle look to full eyelashes, these lashes can last for up to 6 weeks or even more depending on how you care for them. 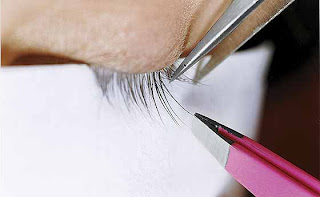 The procedure can take up to two hours as it is placed one by one on each eyelash. Although time consuming, the result is long lasting, natural and glamorous. Individual eyelashes look effective on lashes for a more full look. It is a quick and simple procedure, lasts for up to 10 days and takes under 20 minutes to apply. I also carry tracks in my makeup kit which take under two minutes to apply. 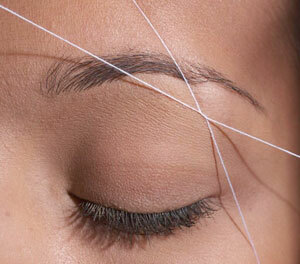 I also thread and reshape eyebrows, as well as offer chin, upper lip sides, forehead or full face. Not every bride wants false lashes, I offer tinting for brows and lashes. Lash perming is to curl eyelashes, some women want that extra curl, and want that extra length perming eyelashes is the solution for this procedure. There are different types of brides, usually reflecting on the type of person you are. It is important as it will reflect on the type of look you want in terms of the type of makeup, hair, dress, theme and overall presentation. Some brides prefer to change from what they usually are for their special day. 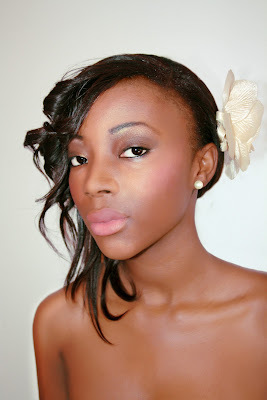 When you know your preferences it would be so much easier to create your final look and may not even be necessary to have a makeup wedding trial. 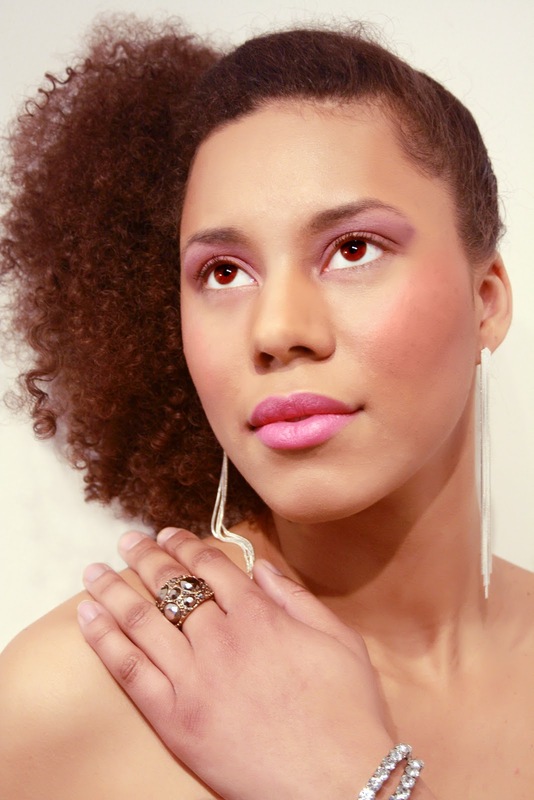 I had a small bridal shoot at my studio at 'Eclat Hair Salon', Brixton, London.